Need lumber in Richmond or the Richmond Metro area? We like to keep our lumber under roof clean and dry. We have lengths from 6 to 32 feet. Need it longer? Ask about our wood I beams and joists. We have clear and finger jointed as well as PVC. If we do not have the moulding you desire we can match or make it to your specifications in our custom shop. Come in and take a look around at a variety of doors, windows and mouldings. We will cut all products to custom sizes or shapes. Either from your drawings, or our our drawings. Ruffin and Payne Millwork is the crowning touch that enhances the value and beauty of your newly constructed homes. Our main emphasis has been lumber and wood products, however, as materials and construction techniques have evolved so has Ruffin & Payne. We pride ourselves on being up to date on new products to the building industry and market. 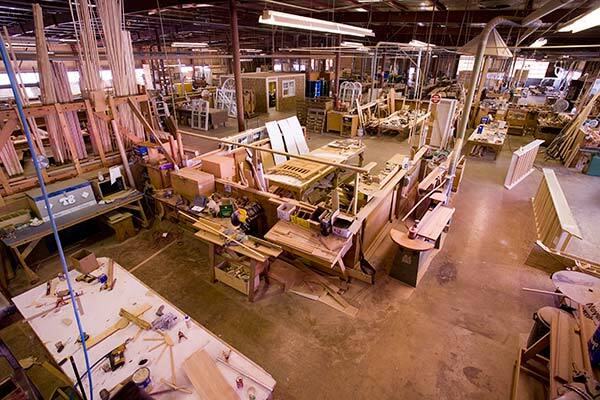 Ruffin & Payne show room offers a wide selection of window and door styles from different vendors and suppliers. Come by and take a look at our inside house, to get an up-close feel of the custom crown mouldings and staircases designed by our custom mill work shop. Ruffin & Payne stocks over 200 mouldings and have access to many more. We have clear and finger jointed as well as PVC. If we do not have the moulding you desire we can match or make it to your specifications in our custom shop. Ruffin & Payne offers complete services in our Roof Truss Division, from design to engineered sealed drawings and fabrication. We have the latest equipment and technology to produce top quality trusses. 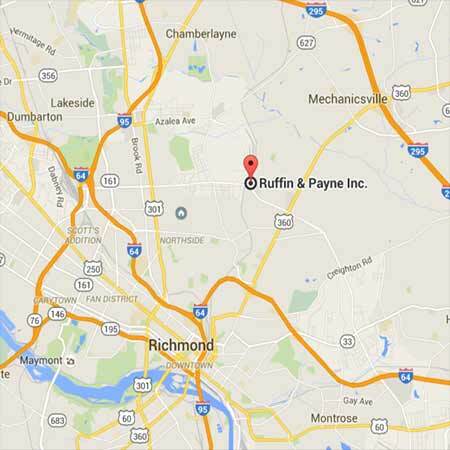 Ruffin & Payne has been manufacturing trusses for over 50 years in Richmond. We also offer delivery to the jobsite. Ruffin & Payne will cut all products to custom sizes or shapes in our state of the art Millwork shop. Either from your original piece that requires replacement or from drawings, Ruffin & Payne is here to give you the crowning touch that enhances the value and beauty of your home.